I've been spending a LOT of time working on my U-Jam Fitness instructor next steps, and have sadly neglected the ol' blog here. I am feeling, overall, a bit more crappy than I was during the detox. We've got some things going on this month that keep me from going back on the full detox but I am trying to get back into less-carbs more-fat more-protein in general. 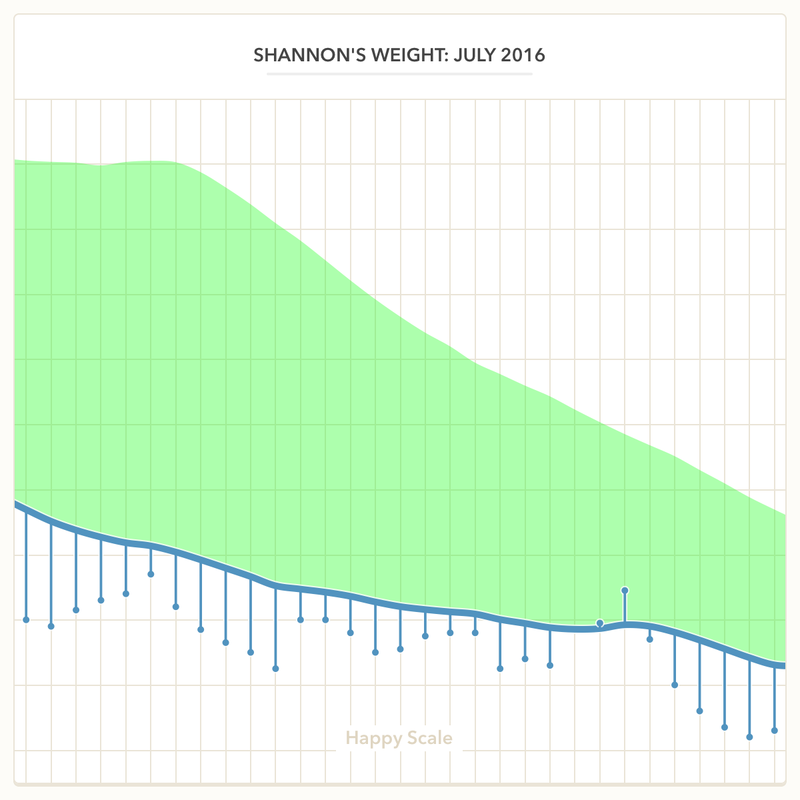 I know I'm not likely to meet most of my goals this month, but that is okay. Gotta be realistic! Lose an average of one pound a week - met! 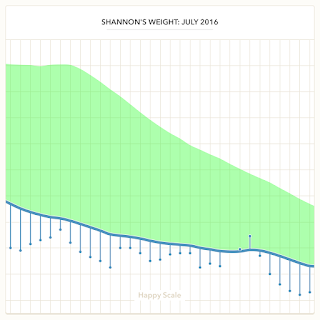 The moving average trend from that nice graph here (thanks, Happy Scale!) says I'm down 5.2 pounds over this month so I'll take that.